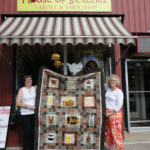 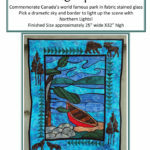 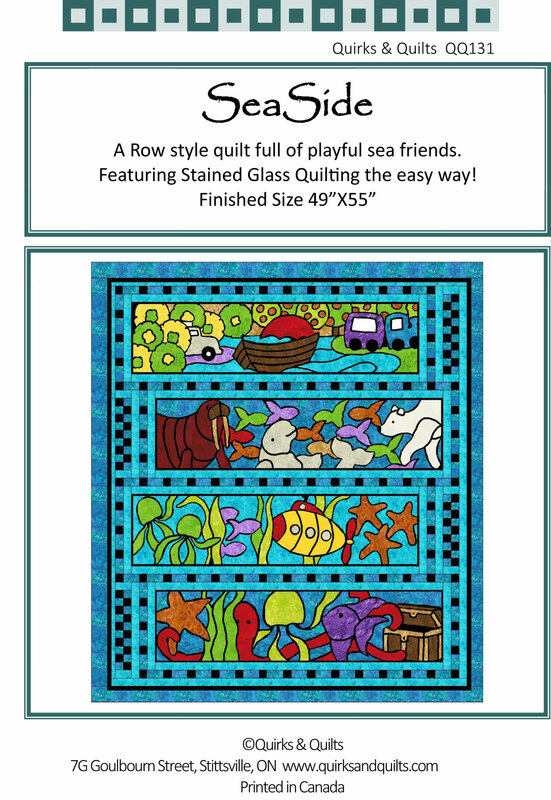 A fun introduction to stained glass quilting featuring lyrics from one of my favourite bands. 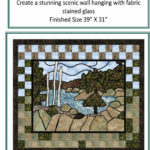 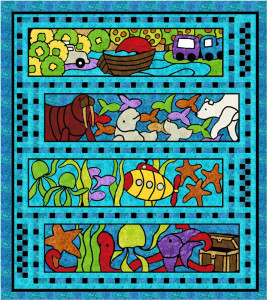 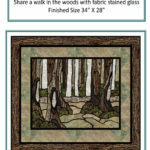 Raw Edge Fusible Applique on a black background with simple piecing to complete the borders. 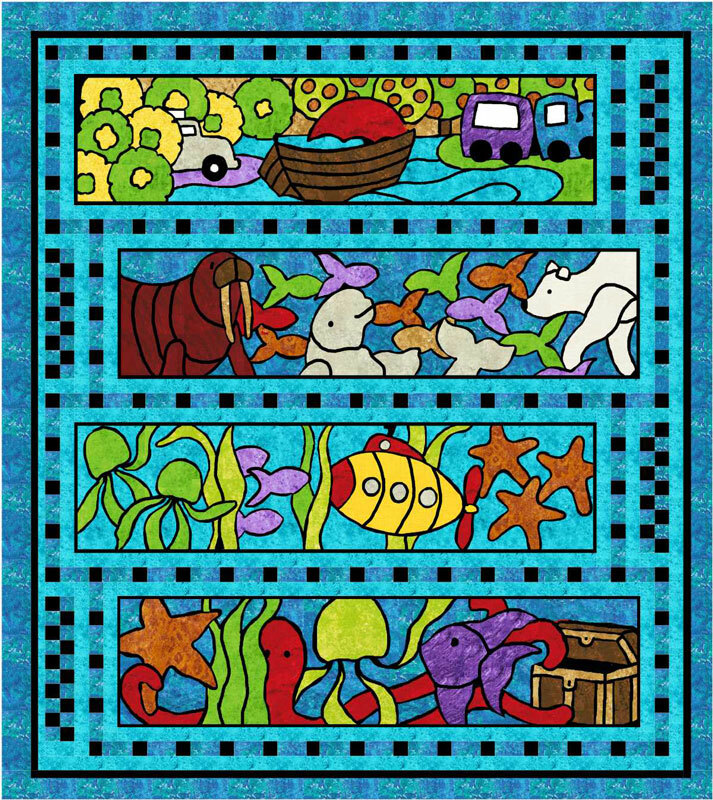 A boat on a river, a walrus, a yellow submarine and an octopus’ garden…..